Greg Whyte is both an Olympian in modern pentathlon, a European and World Championship medallist, and an expert in the field of sports and exercise science. Graduating from Brunel University, he furthered his studies with an MSc in human performance in the USA and completed his PhD at St.
Georges Hospital Medical School, London. Greg is currently a Professor of Applied Sport and Exercise Science at Liverpool John Moore’s University and Director of Performance at the Centre for Health and Human Performance at 76 Harley Street, London. Greg’s former roles include Director of Research for the British Olympic Association and Director of Science & Research for the English Institute of Sport. 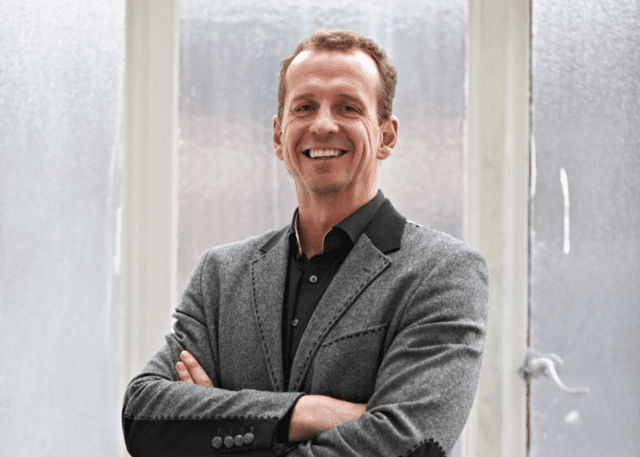 In 2014 Professor Greg Whyte was awarded an OBE for his services to Sport, Sport Science & Charity, and was voted as one of the Top 10 Science Communicators in the UK by the British Science Council. Greg is the preeminent authority on Exercise Physiology and Sports and Exercise Performance in the UK. An internationally recognised expert in the field, Greg has extensive professional experience assessing, treating and improving the performance of patients, sporting enthusiasts and athletes ranging from cancer sufferers to celebrities attempting their first mountain summit to Gold medal-seeking Olympians. Greg is well-known for his involvement in Comic Relief, since 2006 Greg has applied his sports science work to assist various celebrities in completing some of the toughest challenges. Greg has trained, motivated and successfully coached 23 Sport & Comic Relief Challenges including David Walliams, James Cracknell, Cheryl Cole, Chris Moyles, Gary Barlow, Eddie Izzard and Davina McCall in her ‘Beyond Breaking Point’ 506 mile ultra-triathlon. As a result of his work, Greg has helped raise over £35million for charity.